Bangkok, Thailand & Los Angeles, US (September 27, 2018) – The Mall Group, Thailand’s leading retail and entertainment complex developer, and AEG, the world’s leading sports and live entertainment company, today jointly announced a strategic partnership that is destined to make Thai retail history and will redefine the retail entertainment experience in Bangkok with a 10 billion baht plus investment in two world-class arenas - “EM Live and BANGKOK ARENA” - that will anchor two new entertainment districts. 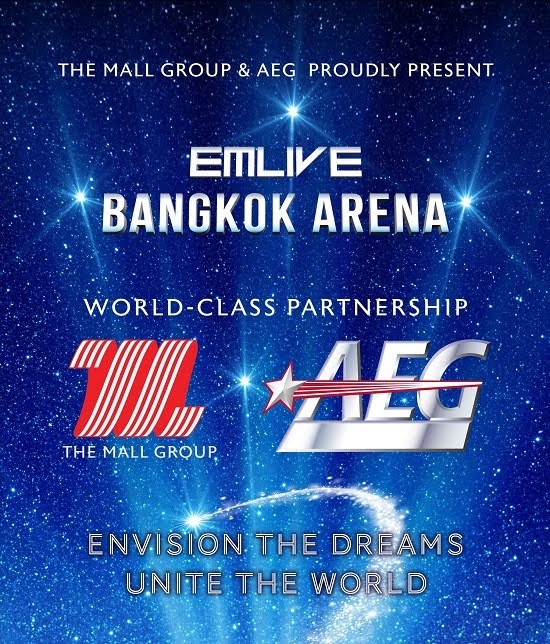 The Mall Group and AEG are joining forces with the shared vision of revolutionizing the country’s business, retail and entertainment centres, placing Bangkok and Thailand at the forefront of world retail innovation, entertainment events, Meetings, Incentives, Conferences and Exhibitions (MICE) and new lifestyle experiences. Supaluck Umpujh, Chairwoman of The Mall Group said that the company’s mission and goal is to elevate Bangkok and Thailand to the leading Retail and Entertainment Hub in Asia. Following the company’s success in developing multiple World-Class Shopping and Entertainment Complexes, including Siam Paragon - The World-Class Retail & Entertainment Phenomenon, The Emporium, The EmQuartier and the Upcoming EmSphere - the Luxury & Lifestyle Retail and Entertainment District at the Epicenter of Sukhumvit, The Mall Group is now ready to create new Mega Projects. This will lead the way to even greater success in what it sees as a bold and pioneering step into a new era for retail and entertainment experiences. 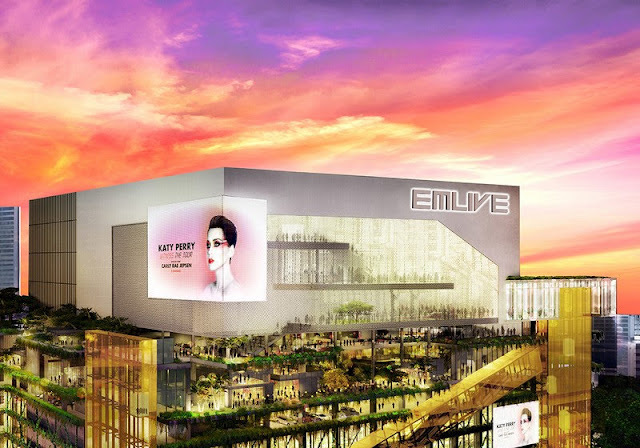 EM LIVE at THE EMSPHERE, The Iconic New Retail & Entertainment District, and The BANGKOK ARENA at the BANGKOK MALL, The Grand Metropolis, built on the concept of a City within the City, are scheduled to open by the end of the fourth quarter of 2022. 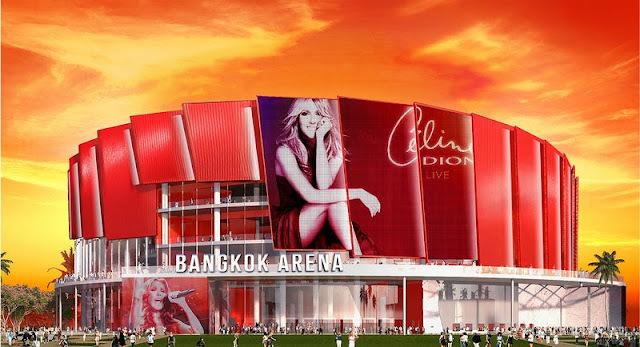 The BANGKOK ARENA at the BANGKOK MALL will have a capacity of up to 16,000 people. 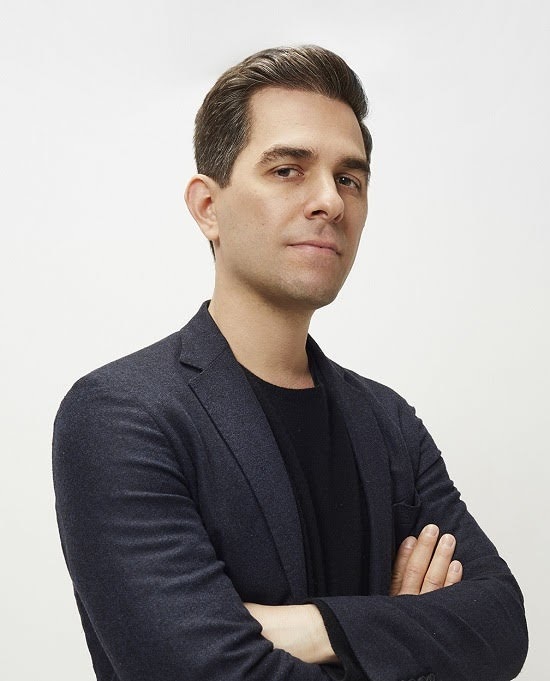 Adam Wilkes, President and Chief Executive Officer, AEG Asia, said that Southeast Asia is going through a transformation. As incomes rise and spending power increases, consumers in the region are demanding more sophisticated entertainment experiences. In The Mall Group, we have not only found an outstanding partner but also an innovative company that is led by an insightful and forward-thinking leader, Khun Supaluck. The company shares our vision for creating best-in-class destination experiences and our partnership will bring unique entertainment districts to the city that will redefine and revolutionize Bangkok's leisure and entertainment scene. We are thankful to have a long-term partner that shares our vision and goals. These two significant developments will be a game-changer, giving Bangkok and Thailand the opportunity to become the most important Retail and Entertainment Hub in Southeast Asia. 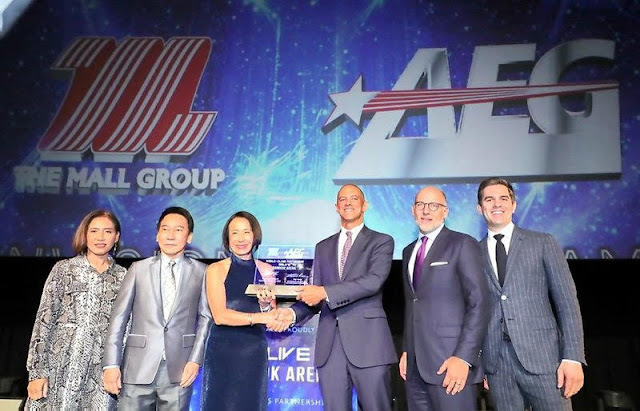 The partnership, which marks AEG’s first major investment in Southeast Asia, expands the company’s proven entertainment district model across the region and demonstrates its strong commitment to Bangkok and Thailand. The announcement also furthers The Mall Group’s goal to continue expanding beyond traditional retail experiences and lead the trend into more immersive lifestyle and entertainment-focused destination experiences. Over the last decade, Bangkok and Thailand have seen rapid urbanization and changing consumption trends, and today is a market with great potential, driven by an expanding middle-class with growing spending power and demand for premium experiences. Bangkok and Thailand have also been named the world’s most-visited tourism destinations, welcoming more than 38 million international travellers in 2017, with that number expected to reach 42 million international travellers in 2018. As the co-owner and operator of both entertainment venues, AEG will also be responsible for the management and operation of these two world-class arenas, as well as working collaboratively with The Mall Group and its partners in offering and marketing a wide range of events including entertainment, concerts, live performances, family shows, sports competitions, MICE and arts & cultural events. Over the past decade, AEG has brought artists such as Justin Bieber, Celine Dion, Katy Perry, Ed Sheeran, Taylor Swift, Metallica, the Rolling Stones and many other world-renowned performers to Asia. The two premium arenas will enable Bangkok to host large-scale events, offering local and international audiences, and tourists from around the globe, more entertainment choices and greatly enhanced live experiences, further positioning the city as a premier entertainment destination in Southeast Asia. Headquartered in Los Angeles, California, AEG is the world's leading sports and live entertainment company. With offices on five continents, AEG operates in the following business segments: AEG Facilities, which is affiliated with or owns, manages or consults with more than 150 preeminent arenas, stadiums, theaters, clubs and convention centers around the world, including The O2 Arena, the Sprint Center and the Mercedes-Benz Arenas; AEG Presents, which is dedicated to all aspects of live contemporary music performances, including producing and promoting global and regional concert tours, music and special events and world-renowned festivals; AEG Real Estate, which develops world-class venues, as well as major sports and entertainment districts like STAPLES Center and L.A. LIVE; AEG Sports, which is the world's largest operator of sports franchises and high-profile sporting events; and AEG Global Partnerships, which oversees worldwide sales and servicing of sponsorships including naming rights, premium seating and other strategic partnerships. Through its worldwide network of venues, portfolio of powerful sports and music brands and its integrated entertainment districts, AEG entertains more than 100 million guests annually. More information about AEG can be found at www.aegworldwide.com. For more than 37 consecutive years, the Mall Group has played a crucial role as Thailand’s leading retail and entertainment complex developer. With a long-term vision of the board of directors to develop Bangkok and Thailand to be world leading Retail and Entertainment Hub in Asia. We have brought Bangkok and Thailand’s ultimate shopping destination for any business, Real estate, entertainment and lifestyle. The company has successfully expanded its operations to become one of Thailand’s largest mall operators, currently operating 12 shopping complexes under the nameplates The Mall, Siam Paragon, The Emporium, The EmQuatier and Bluport Hua Hin Resort Mall. 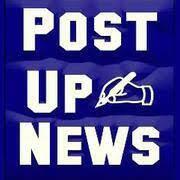 The vision and determination of company have brought us a continuing success and unceasing growth. Being the pride of Thailand, The Mall Group also gains international reputation attracting a massive numbers of Thai and International shoppers, also tourists from all over the globe.